Pity, above all, the torture of genius. 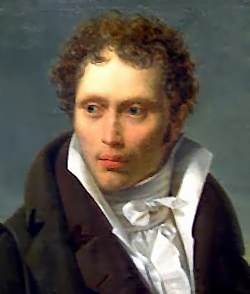 The German philosopher Arthur Schopenhauer (1788-1860), whose pessimistic philosophy was widely known in the late 19th century in Europe and the United States, held that ultimate reality was nothing but senseless striving or will, having no divine origin and no historical end. “Talent hits a target no one else can hit; Genius hits a target no one else can see.” ~Arthur Schopenhauer. Ordinary people can see talent, so they understand the idea talent, which comes largely from certain innate gifts, hard work, desire and dedication. Whereas, ordinary people cannot see genius so they cannot begin to understand the idea genius–which comes from God Above and is a secret, albeit torturous, gift.